Earn $1.43 in Podium Club credit (143 points)What's This? 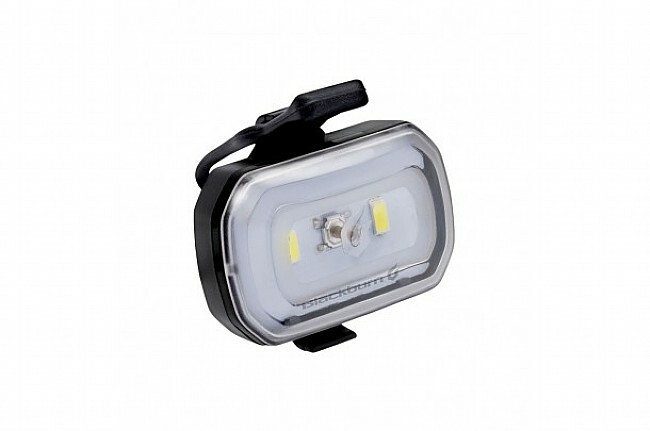 Blackburn's Click USB Front Light throws 60 lumens from its single LED for ample visibility at night, and it's designed to shine light from the sides as well for visibility to cross traffic. A universal rubber mounting strap is compatible with handlebars 22 mm - 35 mm in diameter, and the integrated Li-Po battery is USB rechargeable in 3 hours using the included cable. Remaining battery life is shown with a built-in indicator. Runs for 2 hours on constant and 3 hours on blinking mode. IP65 waterproof rating. Claimed weight is 18 g. Available in multiple colors. I use it in the flash mode to be more visible to motorist, and have it mounted on my fork so I am visible when coming to and crossing an intersection. I also use a taillight. I also really like the convenience of the usb recharge. The only thing I would like is that the onoff and selection function which is accessed by pushing on the lens was a little more sensitive. It does take a bit of pressure to make it work. 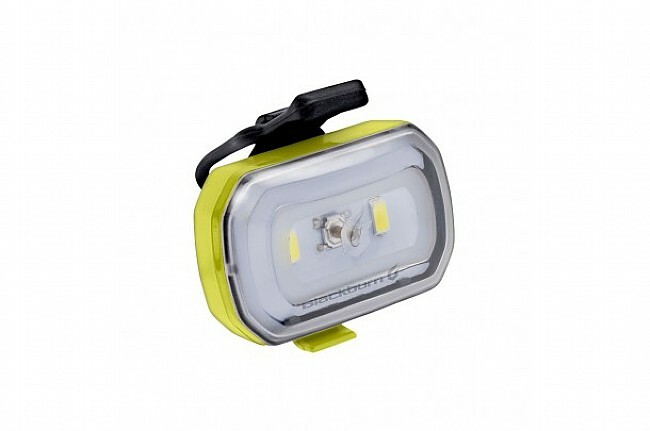 Easy to charge, easy to attach, and very very bright. It's bright , easy to mount, and has adequate battery life. I always use a front flasher now. 4 or 5 bikes going down the road with flashers going get a motorist's attention, I hope. This one mounts easily and it switches onoffblink easily. I haven't done a calibrated trial, but it lasts at least 3 hours on blink. Might go 4.I haven't done any 4 hour rides this winter but one, I think it was still alive.I was too beat to check. It weighs next to nothing. I had been using a Knog. This is better.